Hello, it's Tina here today with part three of my three part series of pocket cards. 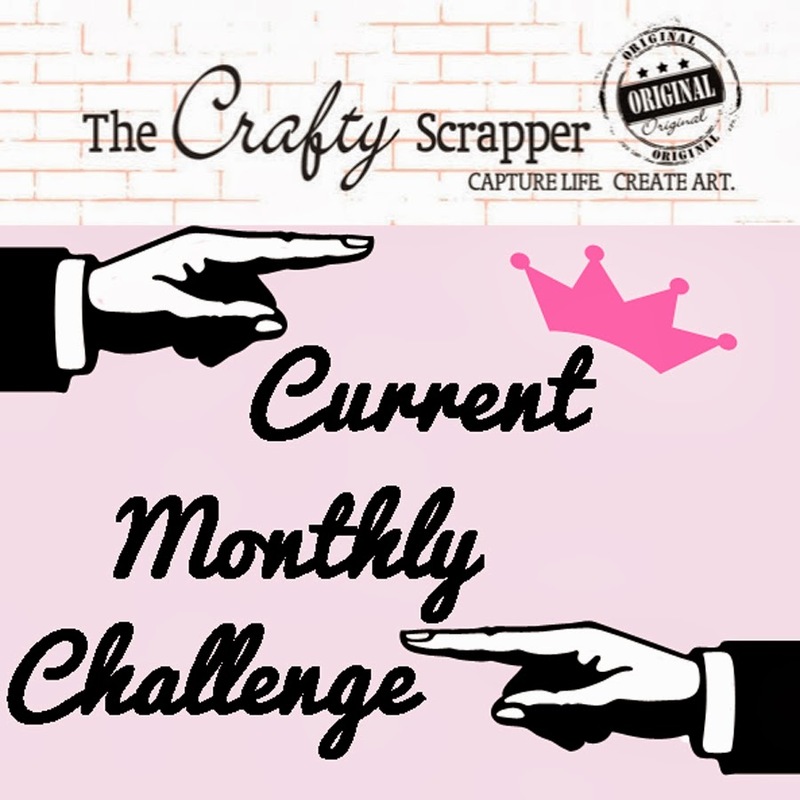 All the wonderful products I have used are from The Crafty Scrapper!! And now, perfectly matches my card! First, I changed the color by coloring it with my Copics. Then I flattened it out and cut out the middle, so that it would be flat enough for me to add that big red rhinestone! An altered flower ... wow! 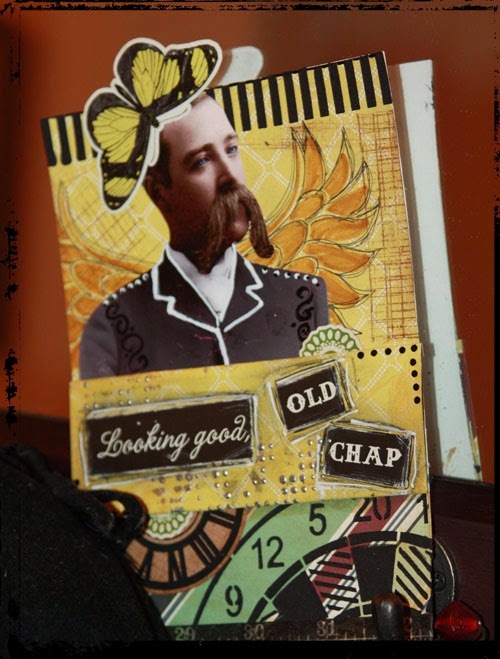 Stop in the Crafty Scrapper so you can see all three of my pocket cards in person and get a list of the supplies I used. I really hop you have enjoyed my pocket cards! 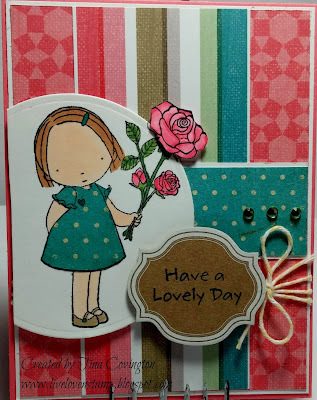 Hello, it's Tina here today to share part two of my three part series of packet cards! 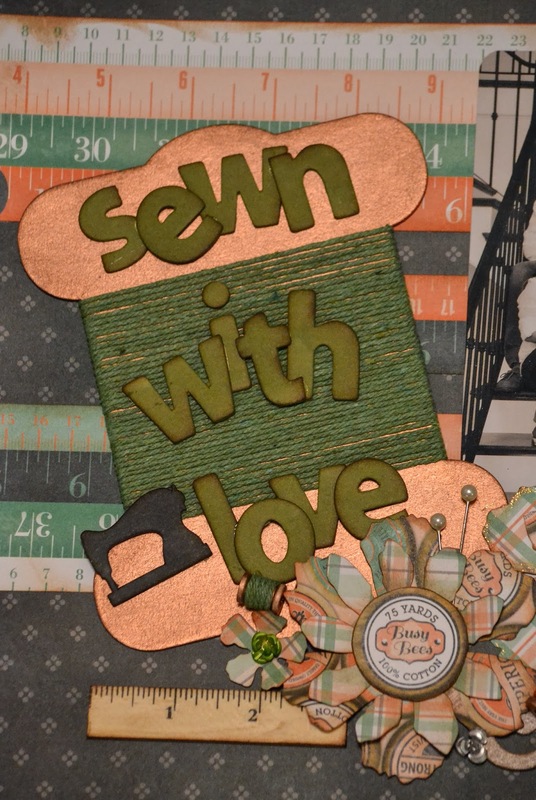 All of the products I am using are from the wonderful The Crafty Scrapper. Today's card features a fold down diagonal pocket on the front. 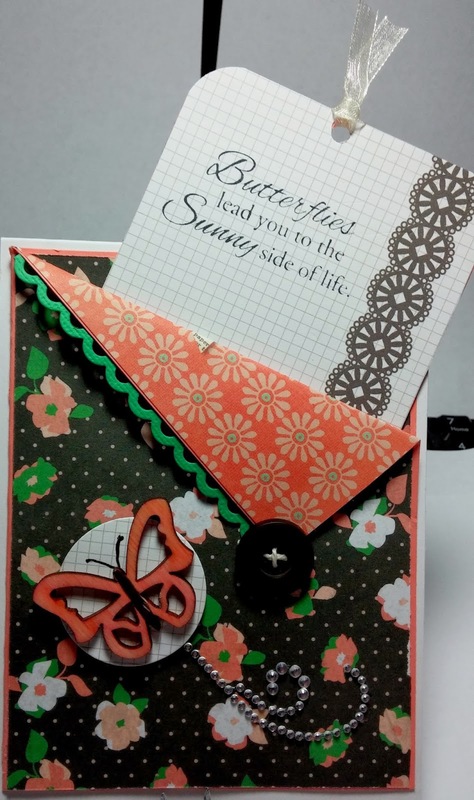 I added a fun butterfly wood embellishment from Maya road and colored it with a Copic marker. 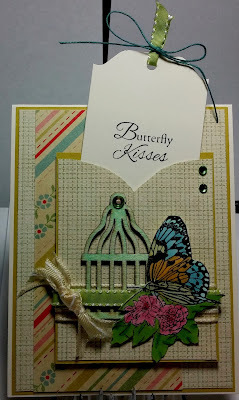 The stamped sentiment on the tag is from a wonderful set of stamps from Inky Antics. The tag was made from the backside of the floral paper. 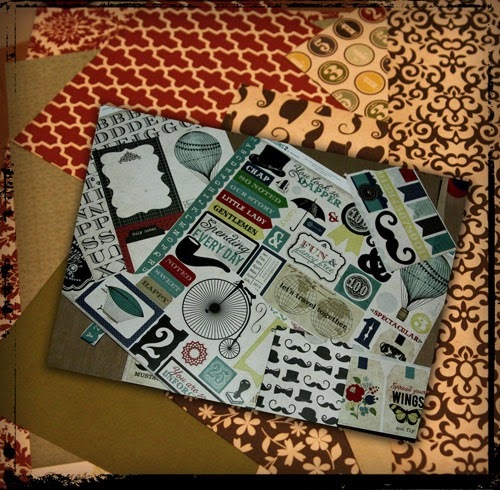 It is one of those sheets that is made to cut apart- the journal card sheet. As a stamper, I rarely use them. So glad I got to today! 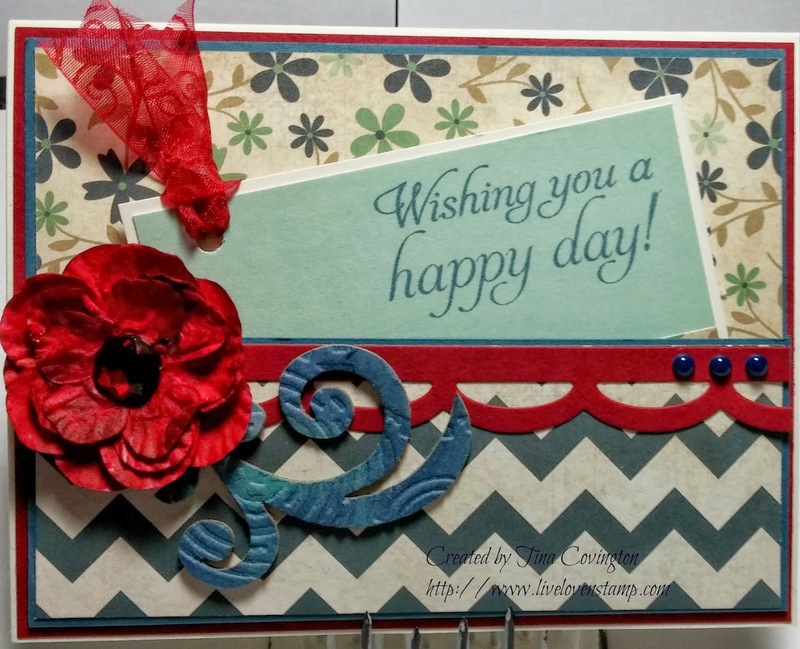 My card can be seen in person at The Crafty Scrapper and you can get a list of supplies used on this card when you stop in! 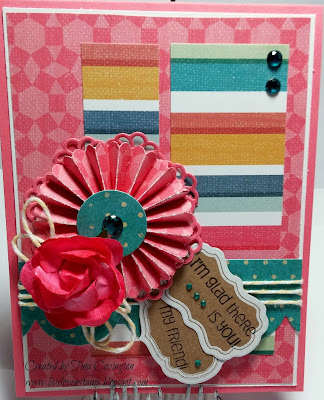 See you tomorrow for my third pocket card creation! I made three cards, all created with cool pockets on the front! My first pocket card features awesome paper from Authentique. It is actually a baby line, but not today! What that means, is that when you are at the store, don't limit yourself to only looking at papers in one area! 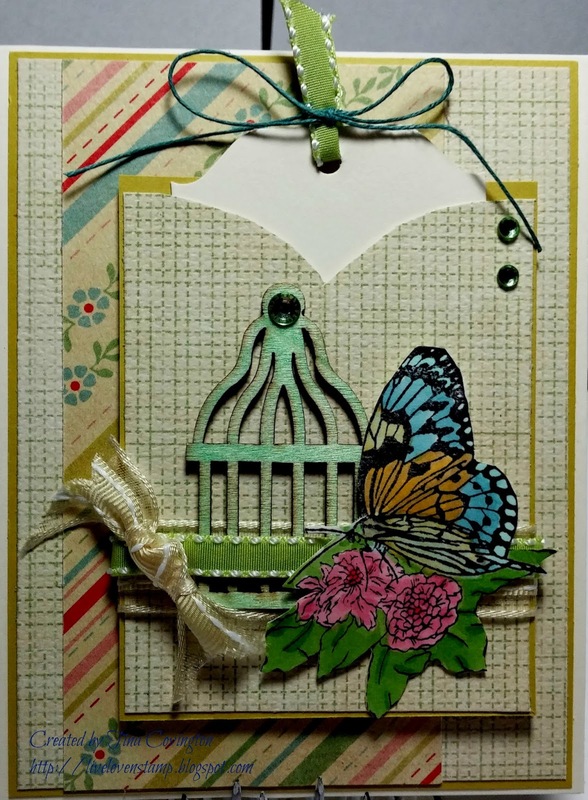 Since I rarely make a card without stamps, I thought this wonderful butterfly stamped image, by Inky Antics, was a perfect pairing with the Maya Road wood birdcage embellishment. I colored the birdcage with a Copic marker and I love the effect! Above view shows the tag being pulled from the pocket. I want to make a note about the green ribbon. The front side was a bright green that really didn't match the paper, so I flipped it over. The nice edges at the top of the tag, were created with the We R Memory Keepers Envelope Punch Board- in stock at the store. Every card I make, I always make sure to have a place to write my card message. Above shows my standard inside, measuring 3 3/4" x 5. The card can be sent for many occasions, so I have left it blank so that I might add my sentiment later. 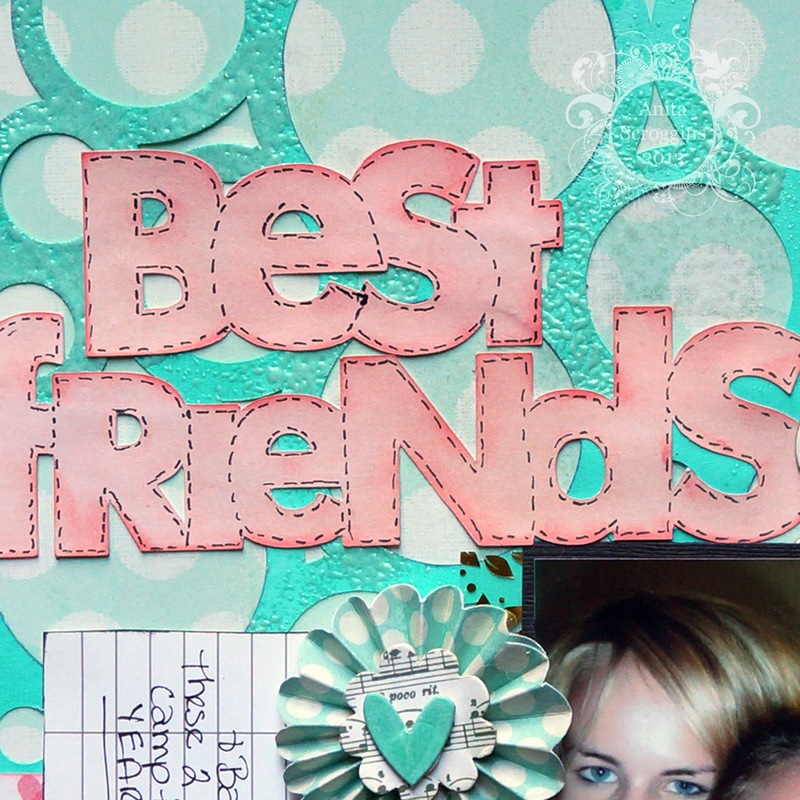 But, it is so important to finish the inside when you are making your card. This will save you time later looking for the right papers to match when you go to send it. My card can be seen in person at The Crafty Scrapper. Get a list of supplies used on this card when you stop in. Parts Two and Three in the Pocket Card Series! Pebbles Valentine line Yours Truly. Each page simply highlights someone I love! I used some of my favorite dies on the front of the book... the Tim Holtz Word Play and the rosette die. The wood doily is from Maya Road. On my girls page I added just a flower a some buttons to add a little girly touch. On my boys page I added this border with metal brads down the edge... it helps to add a masculine feel. 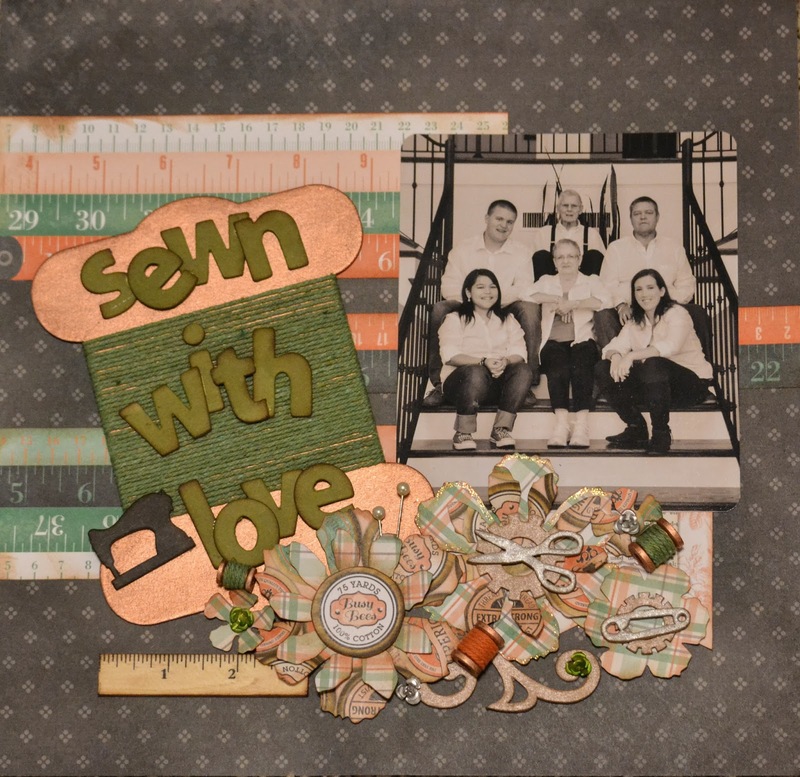 I hope you will come by The Crafty Scrapper and see the rest of the book and pick up the supplies to make yourself a fun book of those you love! awesome classes on the schedule with our fabulous teachers. What do you want to learn next??? See you soon at The Crafty Scrapper! Hi everyone, today we have a project from Amy to share! When I was given this Bo Bunny Pincushion line for The Crafty Scrapper Design Team I wasn't sure at first what to do with it! My grandma has always been a seamstress, I have done my share of sewing in my lifetime as well but....the women in my family hate(!) being in front of the camera. Alas, not any vintage photos of my grandma in the sewing room that I can see so clearly in my childhood memories. But I still felt like this paper needed to pay tribute to my grandma so I set it aside to "percolate" in my brain. I am one of those individuals that will stew on something in the background of my brain and wake up at 2 am knowing what direction I want to go. It didn't take long! Since we had just done family photos in November with the fabulous Sonia Doneghue, I had the perfect photo to incorporate in this layout that paid tribute to my grandma and shows off my beautiful family. And a rare treat of three camera shy women in the photo! I finally got to play with my Vagabond for the very first time on this project when I wanted flowers that were a little different and showed off some of the other pages of the Pincushion paper. 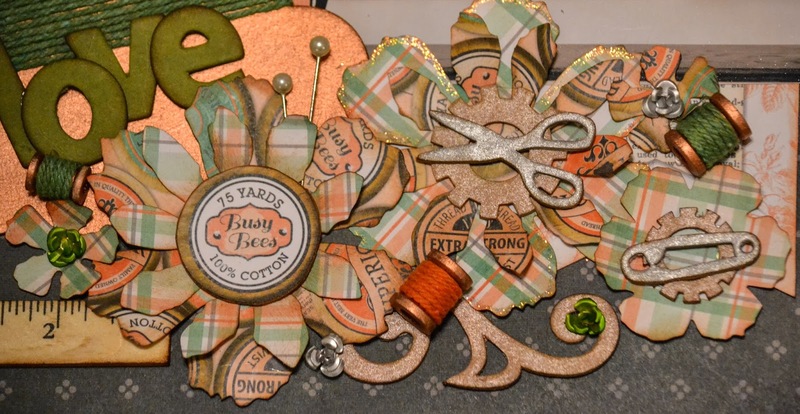 Also here are Maya Road mini spools, twine, vintage trinket flowers, mini ruler, and sewing chipboard pieces. 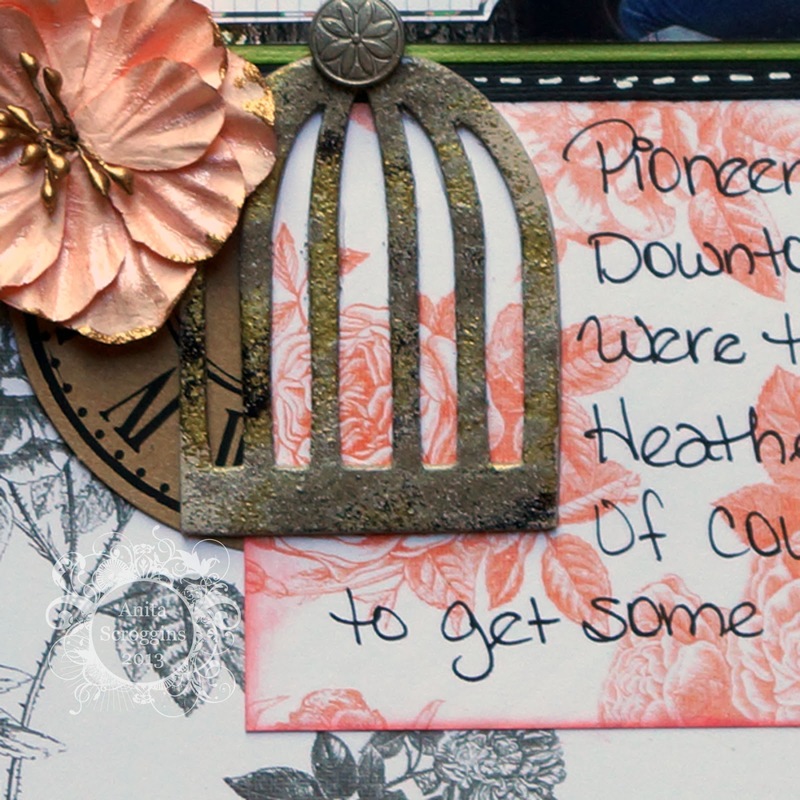 I used Tim Holtz Distress Stains in Brushed Pewter (scissors and safety pin), Peeled Paint (letters), Black Soot (sewing machine), and Antique Bronze (scrolls and gears). The big spool is covered in VerDay Copper Paint. Here a close up of my favorite part of any project - the layering! Sometimes I have to remind myself to stop so it will fit in the book I need to put it in! Families are sewn together - with hugs, laughter, tears, and most of all love. Enjoy! see all the details and get a list of supplies used on the layout when you stop in! fabulous products from The Crafty Scrapper! Before I show you my cards, I want to give you a little background. I was given a packet of various papers and embellishments. 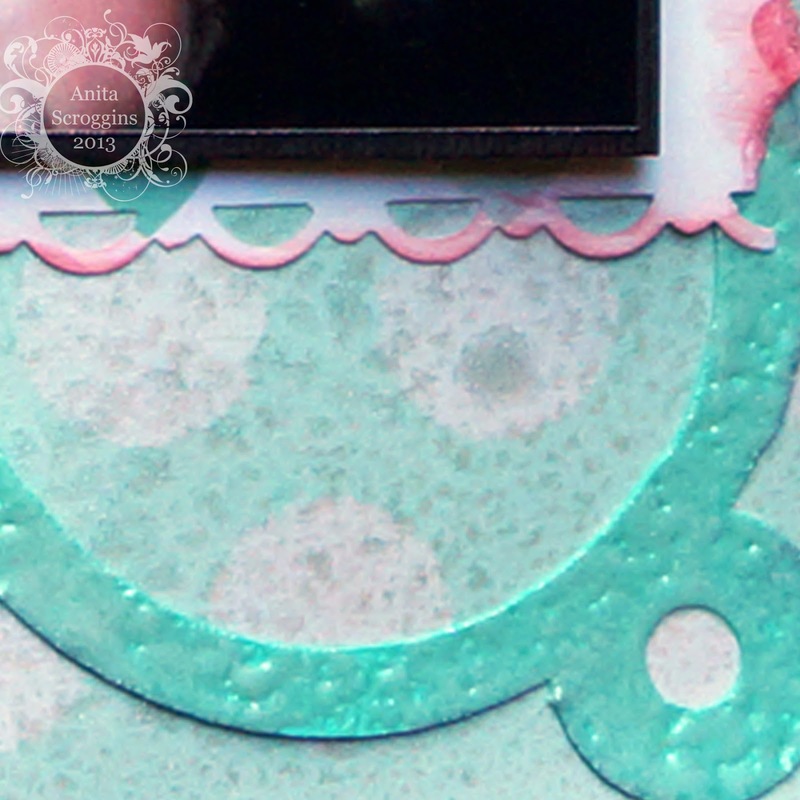 I quickly realized that thick embellishments were going to challenge my card making style. I am one that actually sends my cards in the mail, so I am always conscience of the thickness. But, after looking around for some ideas, I decided it would be fun to make some thicker cards. I just have to know that the thicker ones are going to be the ones that will be hand given not sent. So, my first card to show you is a thick one, but oh, so pretty! And since I was going thick, I got to use my Tim Holtz Rosette die ... woo hoo. I almost always make a card from either a sketch or CASE (copy and share everything) one that I see that I like. 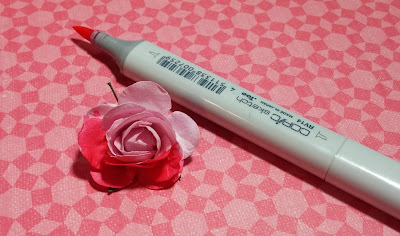 There were flowers in my packet but I wanted the color to be brighter,so, I changed the color with a Copic!Easy Peasy! This picture shows how thick the card is. One note, I have seen on blogs where they used a hot glue gun. I have never used this form of adhesive until today! 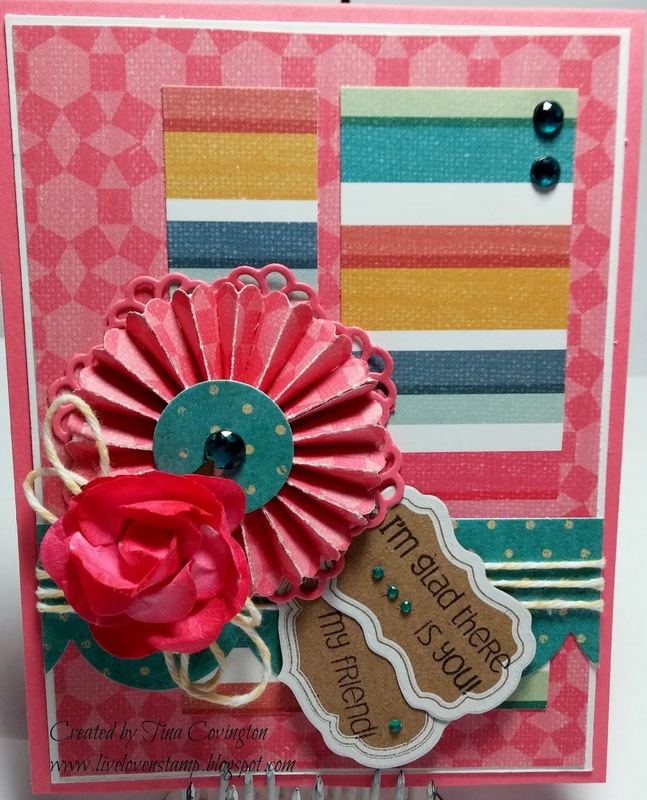 I found it worked great to adhere the twine, flower, and rosette to my card! Adding that rose reminded me of a stamp! (Of course, it did!) 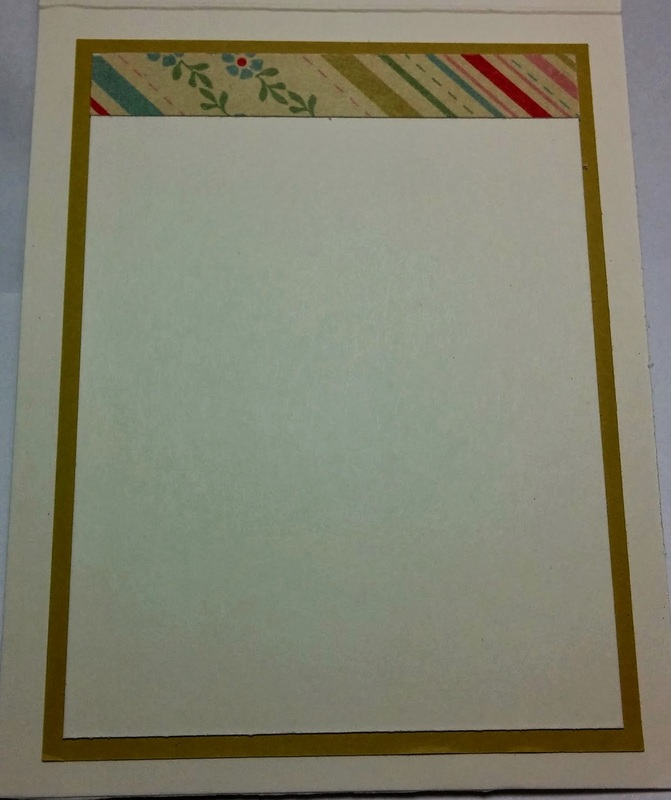 So, I used the same papers and supplies to make a second card (a thin one)! See how different one central image can change the cards look! For my third card, I decided to go with a Valentine theme.The chipboard heart and "always' really sparkles with that red glitzy glitter from Elizabeth Crafts! I wanted to add something to her dress, so I used the Copic Colorless Blender to add the dots! 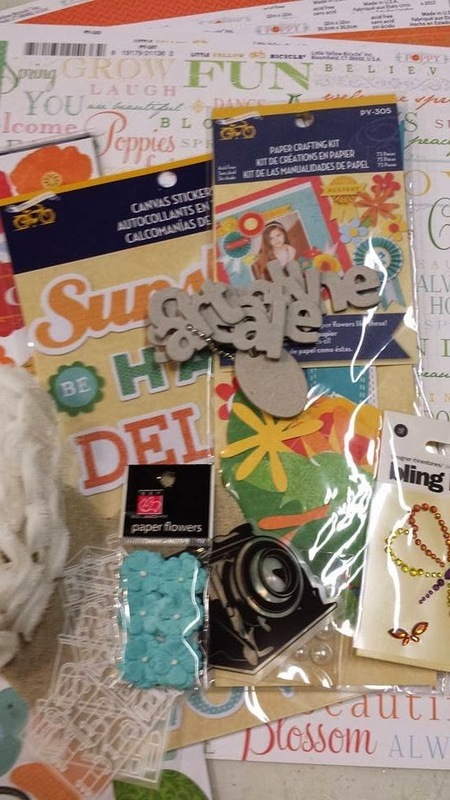 All supplies can be found or ordered at The Crafty Scrapper. The cards can be seen in person at the store. I am so looking forward to a new beginning and things seem to be looking up! 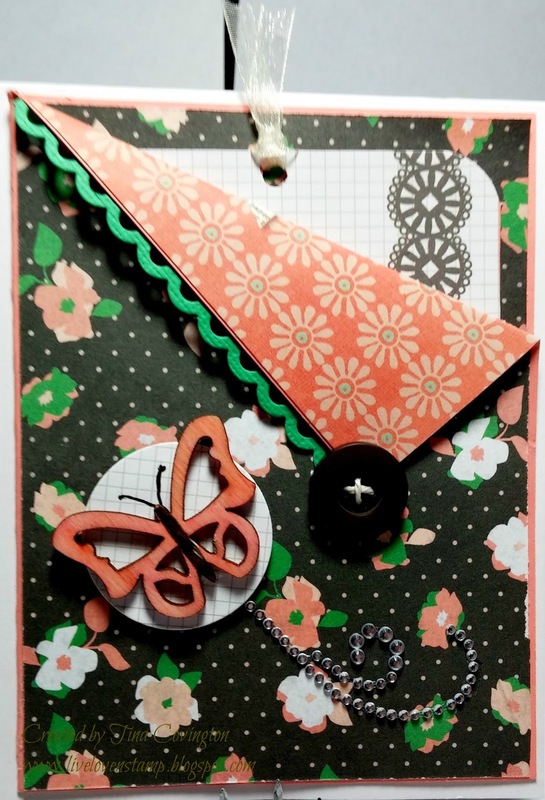 Don't forget to join in the fun for our Punches and Dies Challenge! You have until Jan 31, 2014 to add your project to our Facebook album. 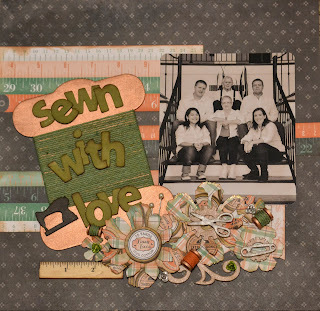 I love this layout I created for The Crafty Scrapper Design Team. This photo is my oldest grandson Logan and my oldest granddaughter Kenzie. Every year after Christmas we take the grandkids to Tyler, Texas on a little trip. We normally go to the Tyler area and stay at a resort. This year we stayed in a cabin by Lake Palestine. The views were spectacular! 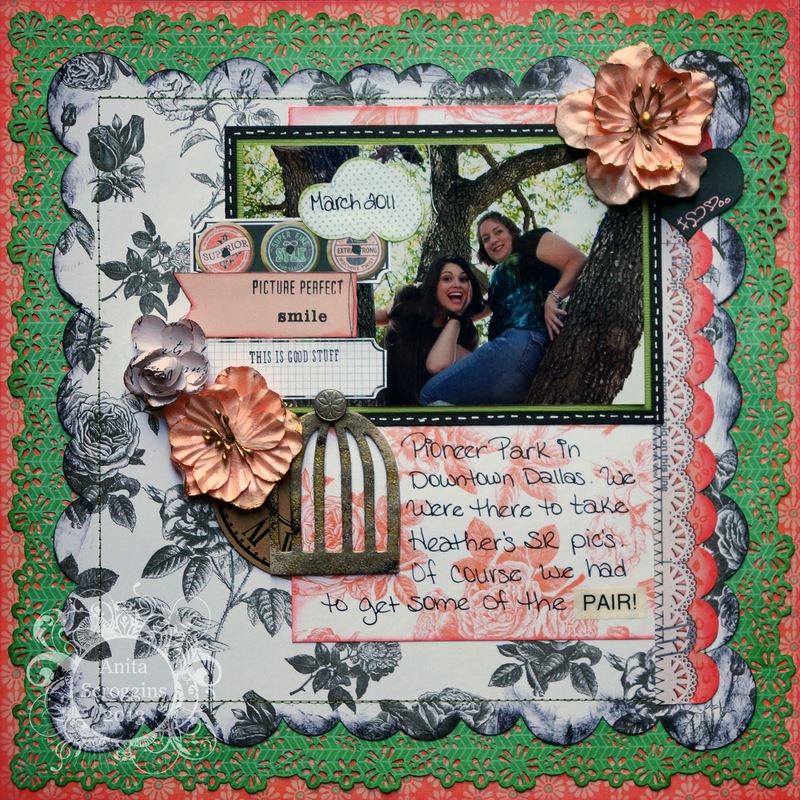 I really loved all the papers from Fancy Pants - Timbergrove Collection. I thought a long time how to create this layout and then it suddenly came to me.! 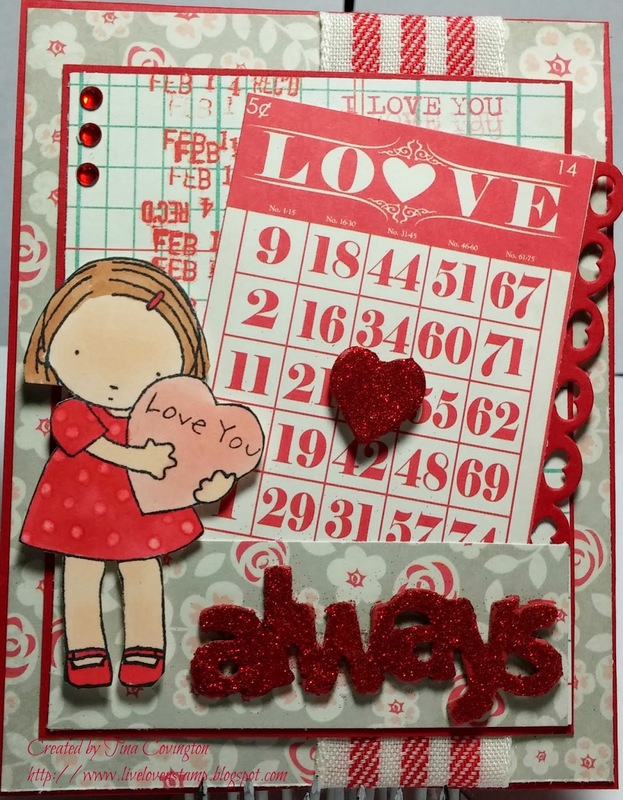 I used red cardstock and then Fancy Pants Timbergrove red and white paper which I distressed. 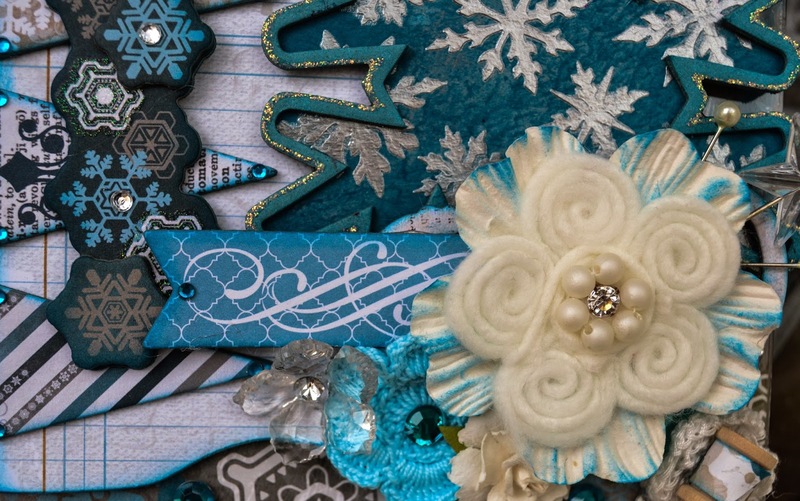 I sewed around the edge to give myself a little border to place the blue paper with the snowflakes. I then distressed again. On the flip side I saw this gorgeous silver snowflake paper! I think it looks yummy! I used by Martha Stewart Cherish Punch. I was given white ribbon with the pom poms and then I placed the sparkly blue ribbon in between! This was rather hard to complete this look! I had seen this done several months ago and I thought it would look great on this layout. So, I cut out three strips of paper, added ink to the outside, and rolled them up. I then added the eyelets, attached the paper and then added string to tie them up! After I completed the first one the rest was rather easy! Yea..score one for me! Here you can see all the layers that I used. I also used from Kaisercraft the wooden hinges plus I added the little pearls. The flourish is from Maya Roads which I painted a light blue. You can see the little snowflakes from Maya Roads and painted them blue but then added stickles plus a blue center. Look at all the lovely flowers! These are from Petaloo! I also added a wooden square plus had a little tag that I painted and wrote "cousins" on it. I had in my stash this cute little clear round ball and found some clear teardrops as well. 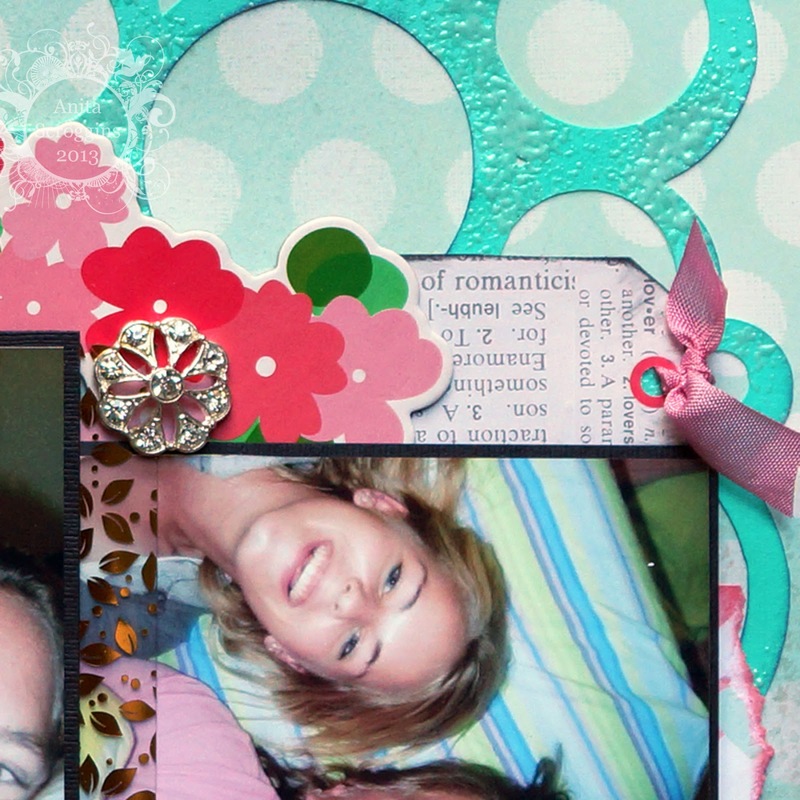 Thank you for taking a peek and please visit The Crafty Scrapper for all you scrapbooking needs. a fabulous new line from Crate Paper- Love Notes. made during her years at summer camp. me SUPER happy! I used my Silhouette to cut the circles background and title. I sprayed by base paper with Rangers Perfect Pearls - Turquoise. My die cut paper was heat embossed with a thick shiny powder. is from Maya Road- of course! The transparency is American Crafts, all the other embellies are from Crate Paper. the edges to define the letters. Have you entered our Punches Challenge yet?? up with all the new products coming in! Punches & Dies and challenge you to play along! the album for the January Challenge! Easy Peasy - so let's get creative! Here is a look at my project. MS Around The Edge Punch. roller stamp. They have 12 phrases on them in one little bitty stamp. Run in and get yours quick! A little bit of Maya Road, with some embossing powder and some ink. Here is a close up of my punching. This MS punch set is one of my favorite! My inks are Tsukineko VersaMagic, also my faves. to the Facebook album. So get started! Oh,, I am sure you want to know what you will win, don't you? Well, here is a peek at the prize this month. For those of you that don't know me, I have been around 'scrapping' for a long time and run the gammut from 12x12, cards, art journals, canvas, ATC, and anything else that involves paper, paint, ink .. bring it on. For the last couple of years I dabbled in digital and manipulating vintage photos with a quirky spin. So thankful that Carolyn asked me to come back and be a part of The Crafty Scrapper and so looking forward to what we can create together. 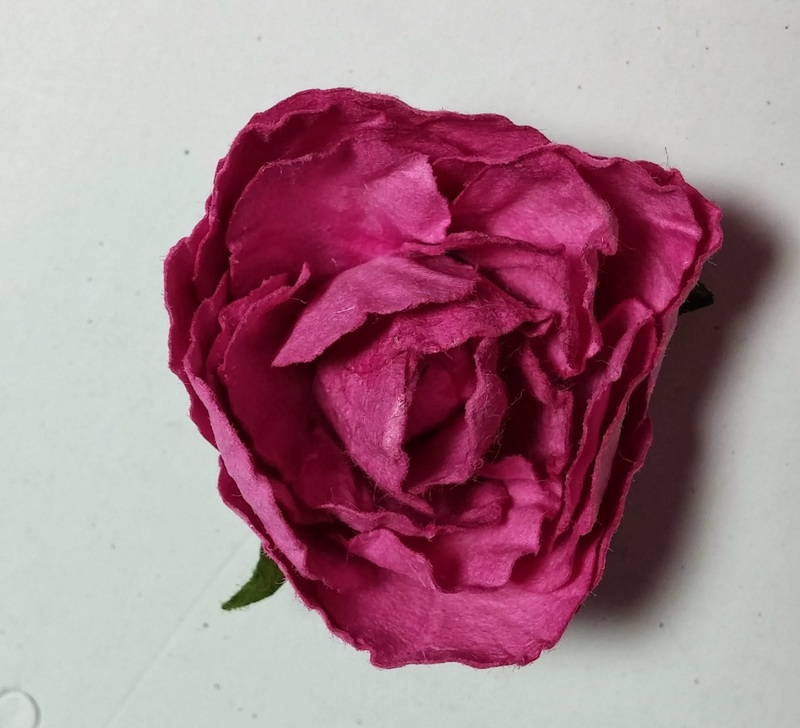 I am new to blogging and writing down the creative steps to glory, so bear with me. your new lovely baby.. or creation.. whichever fits. the Times & Seasons 2 papers & stickers from Echo Park paper company. Believe me, every piece is AWESOME! Just LOOK at this vintage goodness -- and think how much printer ink you save by purchasing all this joy! 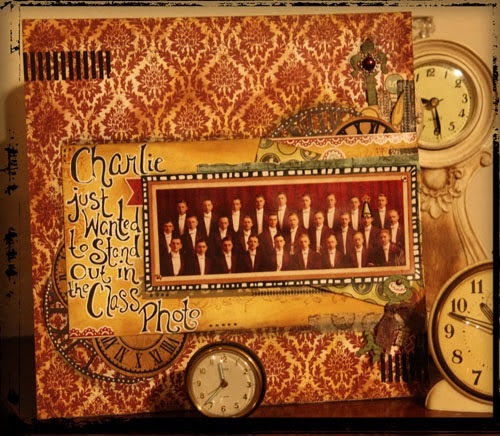 Using these supplies, my favorite Tim Holtz die cuts (Hardware and the clock) & distress inks, Wendi’s embossing paste, Maya Road’s clocks and a vintage group picture by Tumblefish @ DeviantScrap.com… . 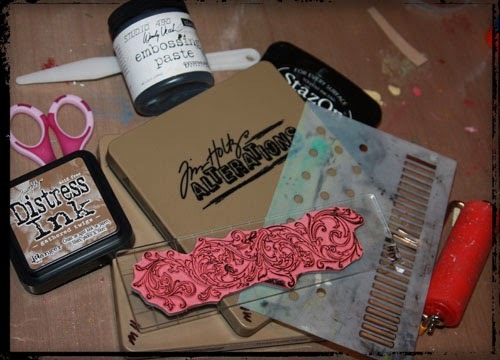 If you have not tried Wendi's Embossing Paste, you are MISSING OUT!!!! Do not let the name or the thought intimdate you - it is smooot like velvet - the black gives the look and feel somewhat of flocked paper. Two minutes to professional results - you will be addicted. I liked that it sort of appeared like a photo hanging on old Aunt Gilly's wall.. ha! But wait!!!! There is more!!!!! photo from Hidden Vintage Studio. 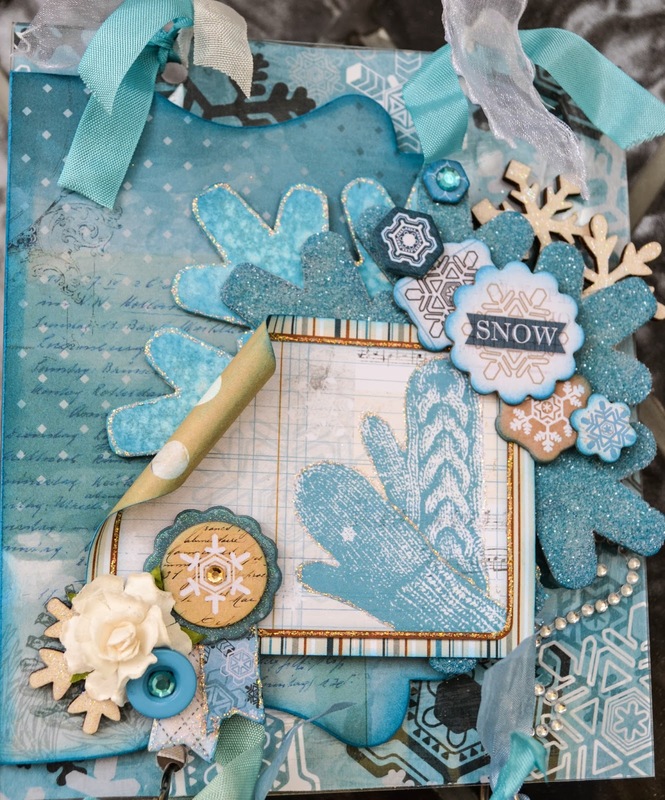 This uses the same sets of papers and stickers from the Times & Seasons 2, Tim Holtz fading dots stencil and Wendi's Silver Embossing paste. There is alos a Maya Road clcok, Wendi's bar stencil and the target stencil is Crafters Workshop I believe. The angel wings are from my stash. Hope you have enjoyed my submissions today and encourage you to think outside the box and jump in to the fun this line has to offier. (and try not to make up the rest). Today we have a wonderful project from Amy to share. I awoke on Christmas Eve early (too early), it was way too cold in the house! The whole house was sleeping so I wandered into my scrap room - a rare treat in the holiday season! I started and completed this in one day - Christmas Eve no less - in the middle of a ton of other traditions and obligations that we already had scheduled. It is hanging on my front door now and it brings a smile to my face every time I come home. The base of this album is 7 gypsies. It's a clear banner album that I covered the back, then layered on pieces of chipboard and the different snowflakes. All the snowflakes are from a Maya Road chipboard keychain. One of the things I like to do with chipboard is to spray it one color and while it's still wet rub it in a puddle of another color then ink the edges. That's how I got the cool effect on the letters here. 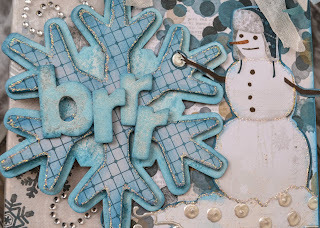 This snowflake is perhaps my favorite, I layered the inked snowflake with Wendy Vecchi silver embossing paste and then put the frame of one of the other snowflakes over it. Enjoy and bundle up! It's cold outside! so be sure to Like us! I followed the sketch closely on this layout but sometimes I will start and it sparks an idea and I make it my own. I wanted my title to be a little bigger than on the sketch so I pulled out one of my favorite alphabet dies... the Tim Holtz Word Play die... It's a great playful font. I cut my chipboard and then colored the pieces with a black Copic marker. Then I added Glossy Accents to the top of the letters. You can also use it on other parts of you page that you want to highlight. I really like the Head Over Heels collection by Bo Bunny... 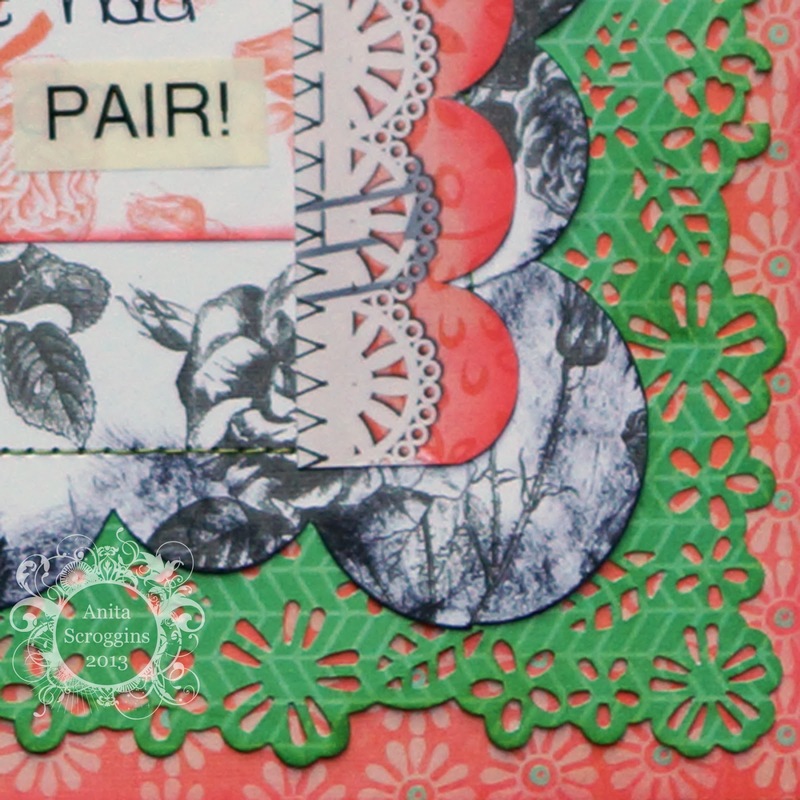 It's so so easy to put different patterned papers together. 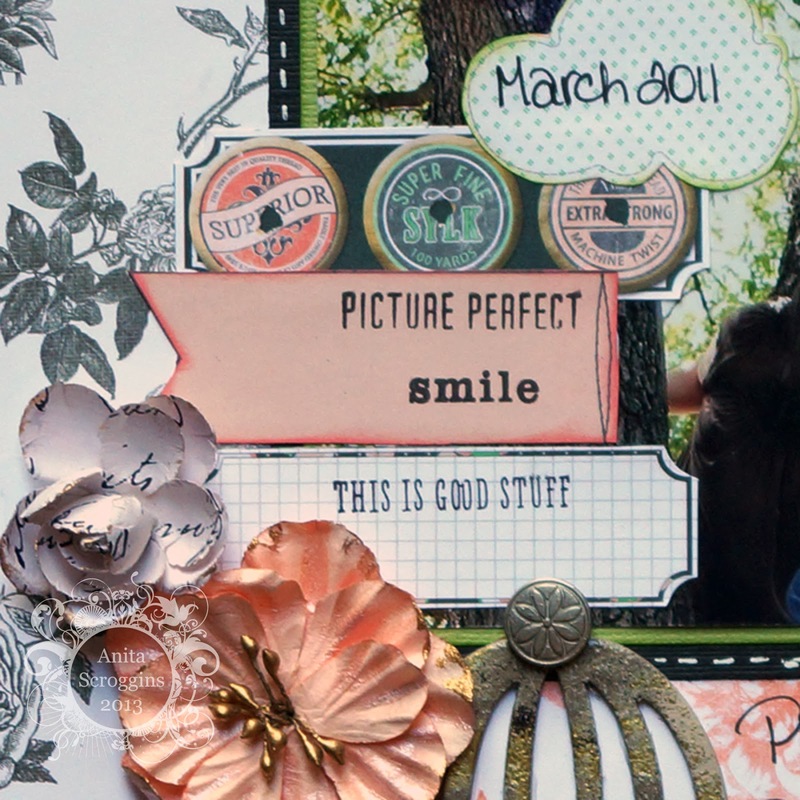 You can find this collection at the Crafty Scrapper... Come on down and I will help you put it together!